Here at JRP Services, we provide a wide variety of landscaping and construction preparation services. Since we provide such an expansive list of services, we can provide whole-project completion from start to finish. So whether you’re simply looking to prune an individual tree, or if you’re looking to demolish a structure and clear an entire lot, you can count on JRP Services to get see the job through to the end. For many of our clients we provide demolition, lot clearing, and excavation services in one fell swoop. When you call on JRP Services for demolitions, you get more than a crew. You get a licensed, experienced team of professionals with access to the proper tools, and knowledge operating those tools. That means efficiency for you, and safety for us. We provide demolitions for buildings, pools, and several other structures; and we provide removal and cleanup as well. Need a cleared lot to build a structure? JRP Services knows local Houston laws, and we can aid you in attaining the proper permits to clear a lot. Afterwards, we’ll bring the right tools to level your lot in a jiff. We have access to power tools including chainsaws and jackhammers. 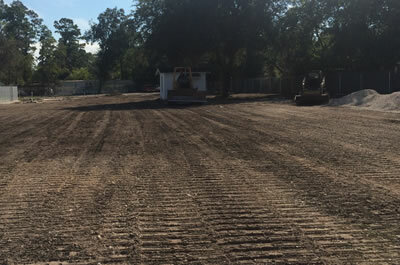 we also have access to heavy machinery including skid-steers, front-end-loaders, and other earth-moving machines. As we’ve mentioned, JRP Services is synonymous with experience and professionalism. Again, we bring the right tools to the job to get our excavations done safely and efficiently. With our access to powerful earth-moving machines, excavating for a foundation or a pool is a snap. Feel free to get in touch with us today if you need a demolition, lot clearing, or excavation, or all-in-one services. JRP Services is here to tackle your next big project.